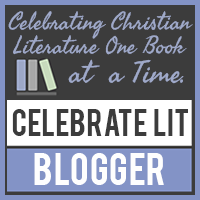 The Avid Reader: The Scent of Waikiki by Terry Ambrose plus a Giveaway! 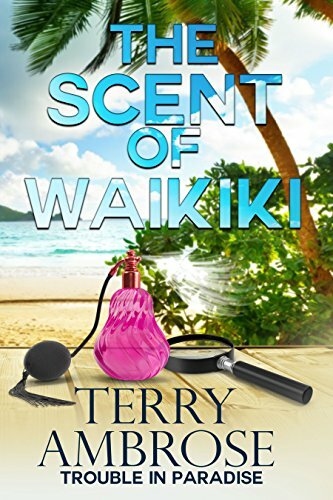 The Scent of Waikiki by Terry Ambrose plus a Giveaway! The Scent of Waikiki can be purchased on Amazon and Barnes & Noble. The Scent of Waikiki by Terry Ambrose is the ninth novel in Trouble in Paradise series. Wilson McKenna is working on wedding plans with his fiancé, Benni Kapono at the Sunsetter Apartments where he is the manager. Grace Takahashi stops by with a serious problem. She was taken advantage of by a scam artist and is unable to pay her rent. Grace is savvy in marketing and wanted to purchase a sales display kit for the soon-to-be released Primal perfume. The day after paying for the kit, her bank account was cleaned out (and she did not get the fictional kit). McKenna has a dilemma. He promised Benni he was done fixing other people’s problems, but he does not want to see Grace taken advantage of by this scam artist nor does he wish to evict her. McKenna decides to turn it over to Chase Logan who is working on to obtain his PI license. When Chase discovers that Primal is made by Island Passion owned by Skye Pilkington-Winchester, he needs McKenna by his side for the visit (no man should visit this woman alone). Skye is not forthcoming, but her assistant is helpful. The next after tracking down the scam artist, they learn that Skye’s assistant, Angela is dead. 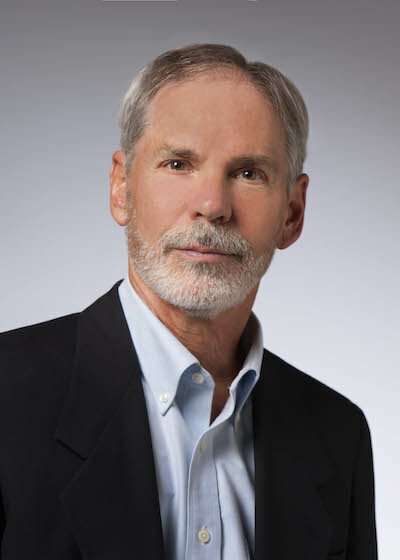 It seems that this case is more complicated than McKenna originally thought. There is something rotten in Waikiki and it is not just the perfume. Can McKenna and Chase pick up the scent of the killer and recover Grace’s money? The Scent of Waikiki is the ninth installment in Trouble in Paradise series and I do not recommend starting with this book. I believe it is best to read the series in order. I found the book to be nicely written and to have a steady pace. There are beautiful descriptions of the island which included the gorgeous weather, the mountains, the ocean and, of course, the beach. The story has a laid-back feel to it which goes with the island lifestyle. I liked the humor that is incorporated into the story (the story will have you chuckling). The mystery is intriguing with the disappearing perfume, a dead woman, a scam artist and a missing suspect. The author provides misdirection to throw us off the track of the real killer. McKenna finds himself drawn into the case and neglecting his wedding plans which upsets his fiancé, Benni. I did not understand why Benni wanted to know all the details of the case and would get upset with McKenna (she does want him to help Grace). I would have preferred less romance (which means wedding planning, bickering, etc.) and more mystery (just my personal preference). Relax on a lounge chair next to the pool with a tropical drink and embark on a Hawaiian adventure in The Scent of Waikiki. The Scent of Waikiki is available on Kindle Unlimited through Amazon. If you are looking for a charming cozy mystery series, check out Terry Ambrose's A Seaside Cove Bed & Breakfast Mystery series. Please take the time to enter the giveaway above or you can click here. Thank you for visiting today. I hope you take the time to visit the other stops on the Great Escapes The Scent of Waikiki Tour (see below). I will return tomorrow with my thoughts on The Hope of Azure Springs by Rachel Fordham. Take care and Happy Reading! Thanks for the nice review, Kris! McKenna and I both appreciate it. Good luck on the tour Terry! I really enjoyed the synopsis of the book. Looking forward to reading about Waikiki. Thanks for stopping by on the tour, Dianne. Best of luck in the contest.